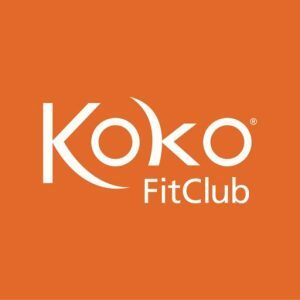 Koko FitClub of Easton – A digital gym with virtual personal trainers! "With some prodding from my daughter, I joined Koko in January last year. I have physical disabilities that affect my strength and balance. Since joining Koko, I have improved so much physically and mentally! It’s a great feeling knowing that you are taking care of yourself, working out, and actually enjoying it. In fact, 3 months after joining, I quit smoking (how silly was it to workout, then get in the car and light up, ugh..) I am now smoke free and yes, I consider myself a Koko nut!……I just became a Koko millionairre!….Thank you Koko! " "There’s a sign on the wall at the Easton Koko that says something to the effect of, “Now you’re one of those people who likes going to the gym”. This embodies my experience here. I had always envied people who went to gyms and worked out. I knew it was part of a healthy lifestyle and would be good for me, but I had little motivation or self discipline. I LOVE that Koko gives me the instruction and guidance I need to persevere. No, I don’t always like getting up at 4:45AM to drive to the gym, but nothing feels better than midday and i’m still raring to go with energy for my students. Though my early AM crew has changed over the past few years, I like the informal camaraderie that Koko provides. Thank you Koko for being a fun and healthy option for me! " "I love Koko FitClub Easton! You get an effective and efficient workout every time that is programmed by a personal trainer. At my old gym I used to do the same basic routine every time. I was never quite sure if I was doing things right and knew that you were supposed to vary your strength training routine but it was too hard to keep track of so I just plodded along. Koko is very easy to follow and the staff and club members are all very friendly and helpful! " "I’ve belonged to a wide variety of gyms over the years but have never really felt inspired to keep it going. I like Koko’s goal-oriented method. Always trying to better my pace, always trying to hit a perfect workout, always working to complete a program, always working to better the last strength test. It feels great to look back and see how many benchmarks I’ve been able to surpass with the help of Koko to drive me. " "Koko FitClub Easton works for me because it provides me the flexibility to workout within my schedule constraints and to do higher intensity exercise in shorter time periods. I love the strength training and the variety of the many programs. The staff and people are great and I enjoy going as often as I can. " "I look forward to Koko FitClub three to four times a week for my planned workout session. Follow the plan to better health and fitness. I had my first perfect workout today! Hope to see you there! " "I’ve been a member of Koko FitClub of Easton, MA for over three years now. Koko has a great easy-to-follow program. You’re in and out of the club in less than one hour, having completed both a interval cardio program and strength training program. I’m definitely much stronger as a result and have greater cardio stamina and endurance. In fact, I wouldn’t have considered running a 5k road race three years ago before I joined Koko Fit Club, but completed my first one last Sunday in just over 33 minutes. " "Koko FitClub Easton is the best! I truly look forward to my workouts. The entire staff is phenomenal!!! So helpful with form tips and cardio workout suggestions to try. Great location and hours. Revolutionizing the workout experience! " "I love Koko Fit Club. I have increased my strength significantly since joining and it really helped me recover from rotator cuff surgery. The staff is outstanding. " "Simply the best program out there, wonderful supportive staff! " "Love Koko FitClub Easton! "